Cats or dogs? You probably know where you stand in that eternal debate. But what does being a cat person or a dog person really say about you? 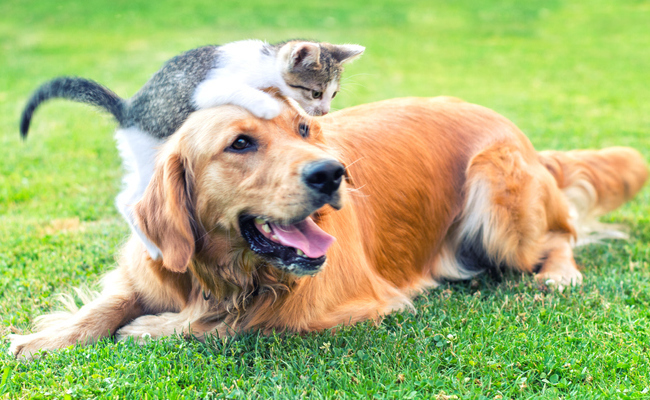 Mars Petcare recently conducted a survey of 1,000 dog owners and 1,000 cat owners to learn about their personalities. Although this by no means can speak for all cat people and dog people (or those who fall somewhere in between), here are some notable differences between the groups. Dog owners: According to the survey, dog owners are twice as likely to work in the financial field. They earn more money than cat owners, which is good news because they also spend more on things, such as clothing and entertainment. Cat owners: On the other side, cat owners are four times as likely to work in creative professions — and they consider themselves to be more artistic people than dog owners. In fact, a different survey from the University of Texas at Austin finds cat people are more likely to have open personalities, meaning they’re more curious and nontraditional thinkers. But they earn about $7,000 less on average than the dog owners surveyed. Dog owners: Just like dogs can’t seem to get enough walks or ball tosses, dog owners also go for active hobbies. They enjoy playing sports, including dance and yoga. And they’re more likely than cat owners (25 percent versus 16 percent) to be regular runners. Plus, dog owners love to travel. 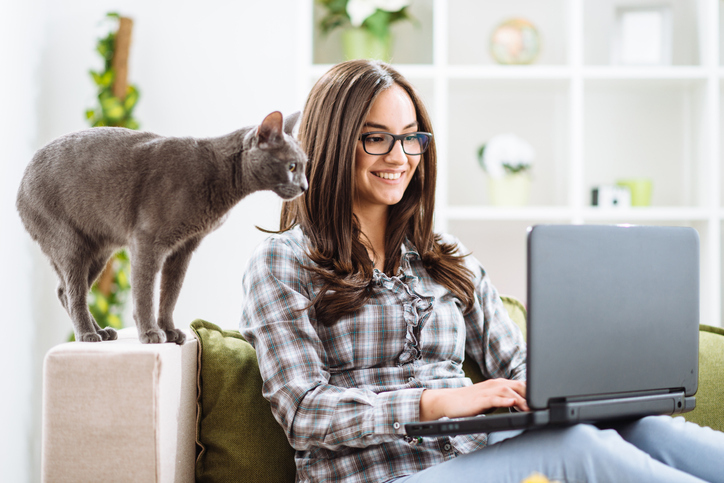 Cat owners: As their cats are lounging around the house all day, cat owners fill their time with calmer hobbies. They’re more likely to enjoy reading, writing and gardening than dog owners, according to the survey. Odds are they also engage in a little bird-watching with their feline friends, as well. Dog owners: Maybe it’s those sloppy canine kisses that make dog owners suckers for romance. They tend to enjoy romance and romantic-comedy films, according to the survey. And they like the horror and action genres more than cat owners do. Cat owners: Cat people are more likely to indulge their artistic side with a documentary or indie film, according to the survey. They also prefer musicals more than the dog owners do. Dog owners: There are numerous health benefits that come from having a pet. And for dog owners, it seems like their animals help to keep them moving. 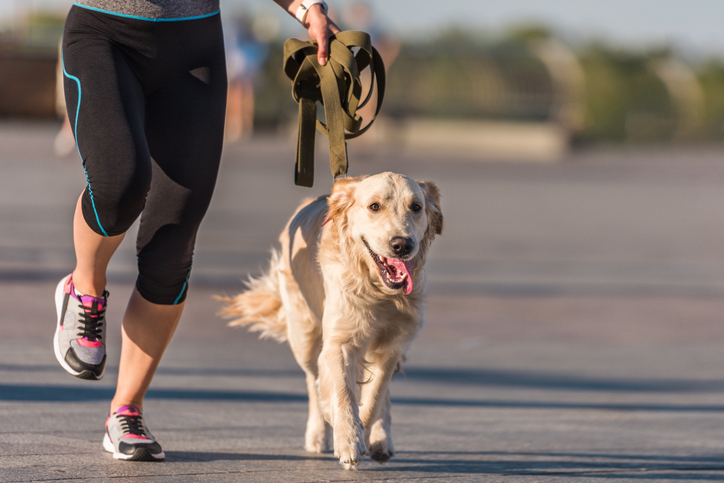 According to the survey, 45 percent of dog owners (versus 8 percent of cat owners) say their pets improve their lives through exercise. Cat owners: Maybe cat owners aren’t going out jogging with their pets, but they still say their feline friends benefit their health. According to the survey, cat owners are more likely to hold informal therapy sessions with their pets, confiding their deepest thoughts and feelings. 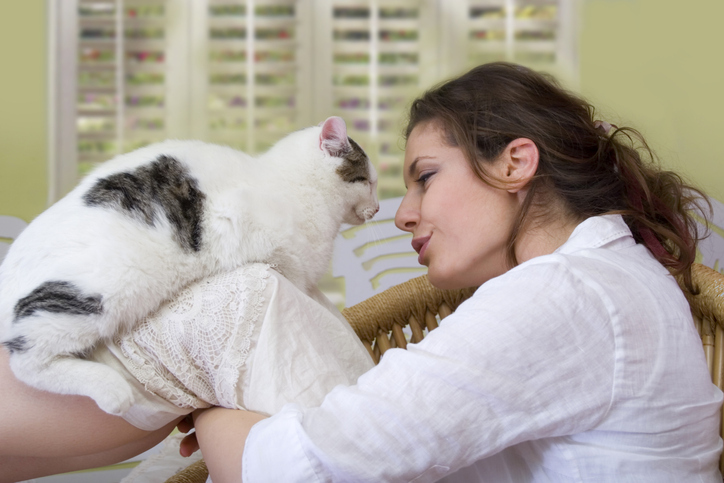 Consequently, slightly more cat owners (70 percent versus 66 percent) claim their pets help them reduce stress. And that’s a good thing because the University of Texas at Austin survey says that cat people are more likely to be worriers than dog people. Regardless of whether you call yourself a dog person, cat person or both, the survey does show some common ground among the groups. 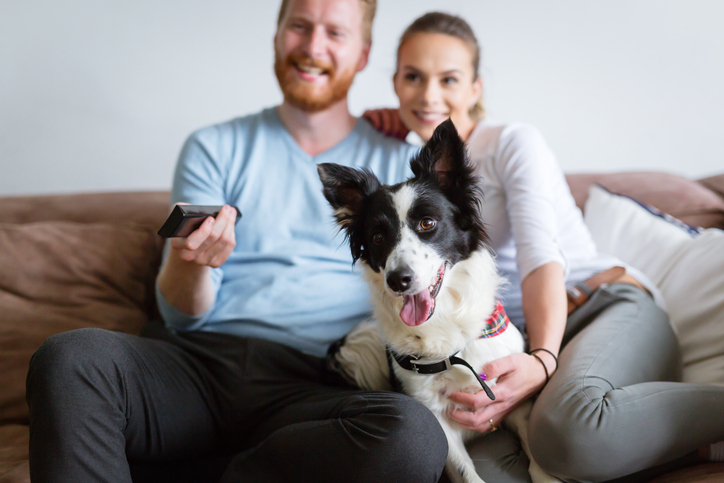 For instance, all pet owners say their animals majorly influence their life decisions, with 67 percent of dog owners and 58 percent of cat owners indicating they make plans with their pets in mind. Furthermore, a quarter of all those surveyed say they eat meals with their pets, and a fifth take their animals with them on vacation. And finally, a third of dog owners and cat owners buy their pets gifts for their birthdays and holidays — though dog owners are more likely throw their animals a party, as well. No matter what, all animal lovers can agree on making their pets’ lives as happy and healthy as they can be. I'm a dog *and* cat person.